SA_EVA - Sound Art for Electric Vehicles Association was launched in Copenhagen on April 5th 2013 at Dome of Visions. 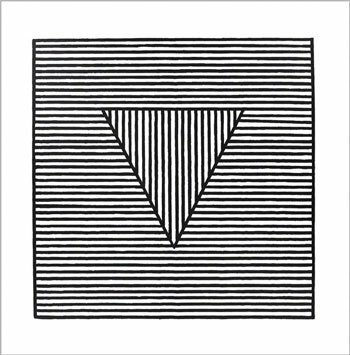 On April 18th 2014, the New York launch of SA_EVA will take place at Gershwin Hotel, presented by Neke Carson and hosted by the American Artist Kamau Amu Patton. 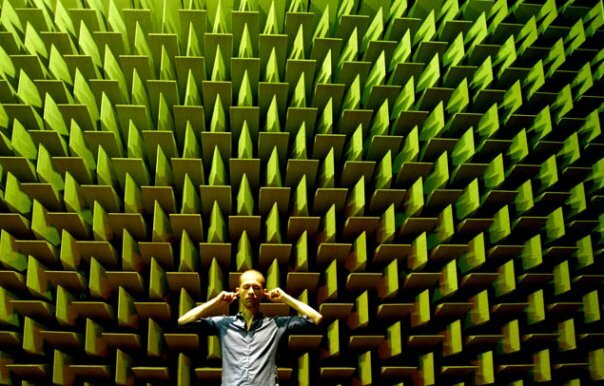 The Danish Artist Jacob Kirkegaard, who was also part of Part 1 of The Triangle Project in Istanbul 2007 in connection to the Istanbul Biennial, will hold an artist talk about his sound art work. In New York, he was recently shown at MoMA in connection to their first Sound Art Exhibition called "Soundings". Kamau Amu Patton (above) is an American interdisciplinary artist based in New York. 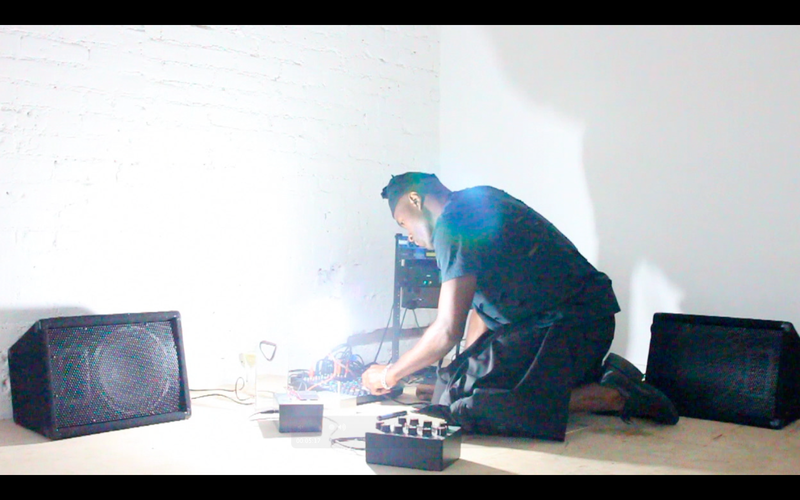 His work issues from an ongoing involvement with the generative intersection of sound, light and electronics. 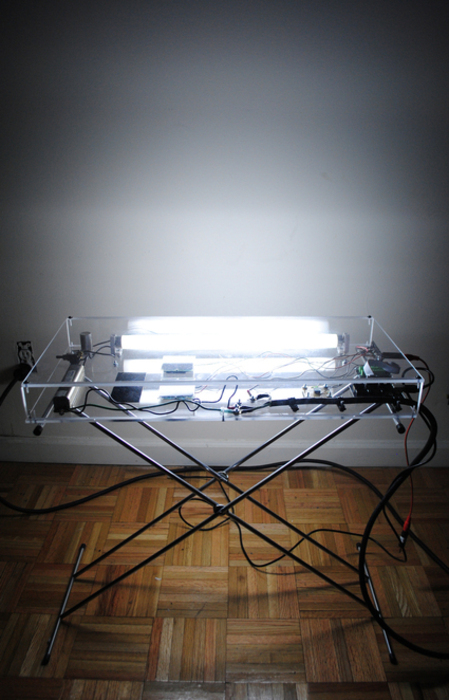 The image title of above work from 2012 is, "Light Module 1". The dimensions are 24"x12"x26" The materials are: plexiglass, metal, fluorescent light. electronics (solar panels, light to frequency converter, midi interface). The module consists of a series of photovoltaic cells that absorb the radiation from a fluorescent tube and emit photoelectrons. This signal is processed with a computer to modulate the frequencies of the photoelectric emissions thus, converting the light into sound. Listen to the sound in above Soundcloud file. phenomena. With sensors and recording methods the material is unfolded into compositions, sound works or visual, spatial installations. Kirkegaard has explored sonic environments such as subterranean geyser vibrations, empty rooms in Chernobyl, a rotating TV tower, Arctic hydrosonic calving claciers and even tones generated by the human inner ear itself. 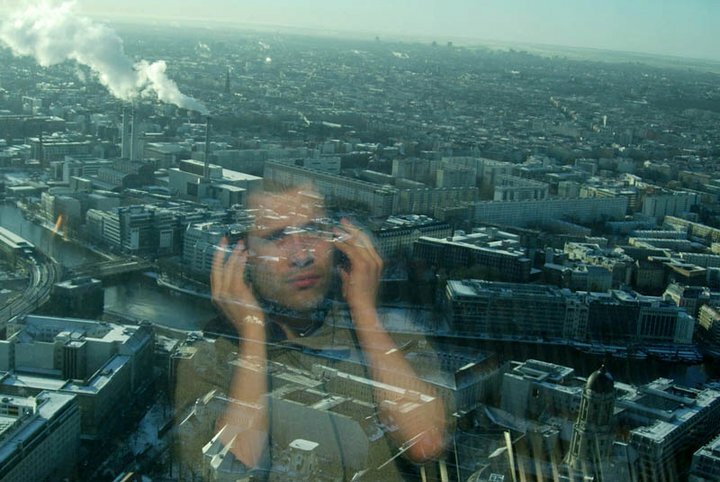 The above video is from the project "PIVOT" and is created from video and sound recordings from one of Berlin’s most important landmarks: the tv tower (Fernsehturm) at Alexanderplatz, in the heart of the city. Jacob Kirkegaard listens behind the immediate and challenges our perception of ourselves and the world around us. Based in Berlin, Germany, Kirkegaard is a graduate of the Academy for Media Arts in Cologne. and at the Rothko Chapel in Houston and at the Aichi Triennale Japan.